Gutters are key to protecting your home from water damage. Don't leave them in disrepair. You don't realize how important your gutters and downspouts are until they clog or stop working properly, causing damaging to your home's siding, roof, windows, or foundation. Keeping your gutters in good shape is an important step in protecting the exterior of your home and avoiding expensive repairs. When your gutters are in trouble you need gutter professional who can solve your problem quickly, safely, and efficiently. Holy City Gutterworks offers the professional gutter repair, cleaning, and maintenance services that you need. Contact us today to schedule your estimate! Regular gutter cleaning can help prolong the life of your gutters and help prevent damage and leaks. Leaves, twigs and other debris can build up in your gutters and clog your downspouts, preventing water from draining properly. Climbing a ladder to clean or fix your gutters is dangerous and can lead to injuries. Holy City Gutterworks makes gutter maintenance easy with our professional gutter cleaning and repair services. 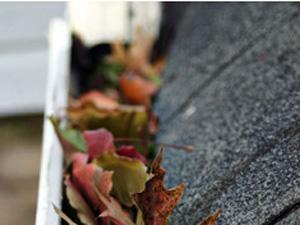 We can inspect your current gutter system to check for leaks, damage or other repair needs. We'll then discuss repair or replacement options with you to determine the most cost-effective plan for your home. With professional gutter repair and replacement services, we'll have your gutter system working properly in no time. If your gutters are damaged or clogging we're here to help you with quality new gutters. You can trust Holy City Gutterworks for all your gutter needs including gutter repair, cleaning, maintenance, and more. Contact us today to schedule your consultation and estimate!